Dings, dents and cracks? We can help! 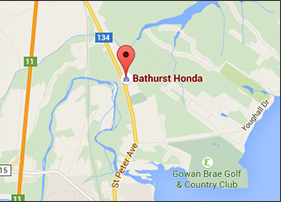 At Bathurst Honda, we do it all. Our trained experts can take care of everything from dings and dents to a broken windshield. Don’t let your broken taillight net you a costly ticket – bring it to Bathurst Honda today. Fast, affordable and, above all, professional. Over time, the daily commute can take a toll on your vehicle. From scratched or burned seats to dirty carpets and unpleasant odours, recapturing your car’s glory days may seem like a pipe dream. 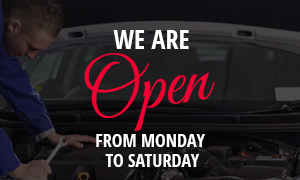 Fortunately, Bathurst Honda’s detailing centre is here to help! We offer seat repair, upholstery and cabin-deodorising services that’ll have your vehicle looking, feeling and smelling like new in no time! Our state-of-the-art Honda body shop is equipped to get your Honda vehicle looking brand-new again. This is why our repair process is simple and fast. The atmosphere of our centre is comfortable and professional, and our team is always happy to serve you. We are happy to offer a wide variety of services to our customers, so you can get all of your needs met in one convenient location. And even if you don’t drive a Honda vehicle, our experts can take care of vehicles of all makes and models. To summarize, we offer headlights repair, windshields and wheels repair, odor removal, interior repair including seat burns, and paintless dent removal. All of this and more is available in one convenient location at Bathurst Honda in New Brunswick, where you can trust us to get the job done! Do not hesitate to contact us at 1 855 764-7348 or fill out our online form to book an appointment.